Discover Washington State's most beautiful volcano! Mount Baker can be reached from Seattle WA or Vancouver and has much to offer! There are hundreds of beautiful offshore islands in Washington State and many are uninhabited. Discover paradise today! La Conner of one of several picturesque communities in the state of Washington. It really springs to life during tulip season. Seattle if the largest and most exciting city in Washington State. Discover its top tourist destinations and world-famous landmark! 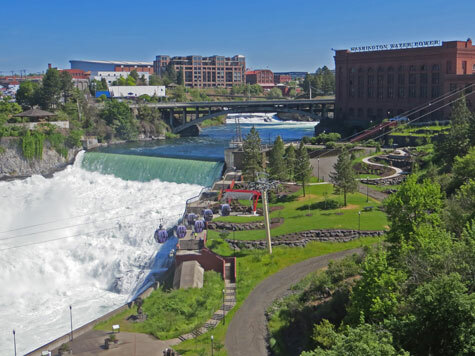 Spokane is the second largest city in Washington State. It is an undiscovered featuring a spectacular waterfall and riverside park.